Marginalized. 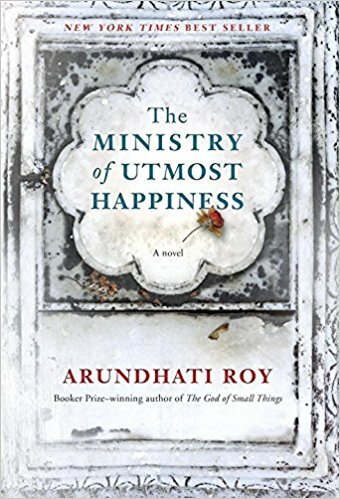 Having waited two decades for another novel by Arundhati Roy, I dove into her new book titled, The Ministry of Utmost Happiness. I’m glad I did. She pulls readers into the sights, smells, sounds and people of India, especially the marginalized ones. Don’t worry about keeping track of everything that’s going on. Let Roy take you across the subcontinent and over decades of time. Her prose is finely written in this epic novel and those readers who enjoy finely written literary fiction are those most likely to appreciate this novel. Rating: Four-star (I like it) Click here to purchase The Ministry of Utmost Happiness from amazon.com. Honorable. 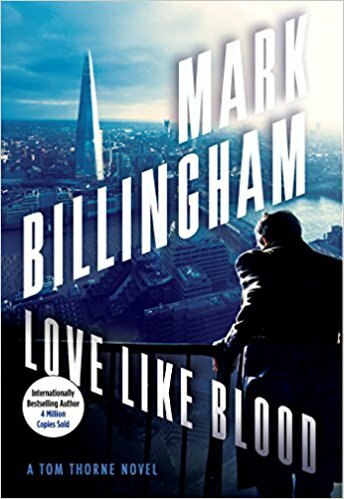 The 14th installment in the series by Mark Billingham featuring Detective Inspector Tom Thorne is titled, Love Like Blood. Billingham took a Thorne break last year to publish Die of Shame featuring D.I. Nicola Tanner. Tanner appears in the new Thorne novel with a request that Tom investigate the murder of Tanner’s partner. The current novel explores the dishonorable practice of “honor” killing. As fans will expect, Thorne is troubled and talented. The plot has interesting twists and surprises, the action moves briskly, and I was well-entertained. Rating: Four-star (I like it) Click here to purchase Love Like Blood from amazon.com. Conflicted. 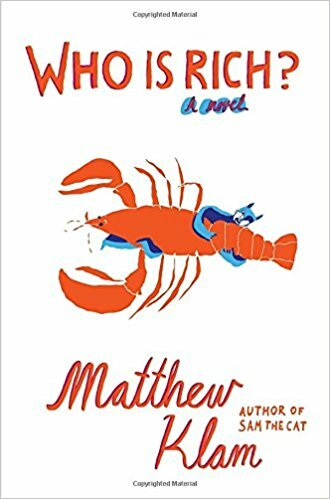 Graphic artist Rich Fischer is protagonist and narrator of Matthew Klam’s novel titled, Who Is Rich?. Rich doesn’t have much money, his one graphic novel is out of print, his work doing illustrations for a magazine is mediocre and declining, and he has fallen in love outside his marriage. His lover, Amy, is the wife of a billionaire and they are both conflicted over their passions and over the place of money in their lives. While midlife struggles can become weary to read, Klam’s prose is so finely written that even impatient readers are likely to enjoy Rich’s plight. Rating: Four-star (I like it) Click here to purchase Who Is Rich from amazon.com. Comey. No reader’s viewpoints about Hillary Rodham Clinton will change after reading her book about the 2016 presidential election titled, What Happened. There is no question mark in the title, so this is her definitive attempt to tell citizens what she thinks happened. While Clinton holds herself accountable for the outcome, she focuses particular attention on the actions of James Comey and the ways in which all media avoided policy issues where she was strong, and maintained false equivalency between her and Trump. She doesn’t quite say that Trump used the press better than she did, but recognizes that his actions led to media diversion away from policy matters. Clinton comes across as more candid in this book than in earlier ones. 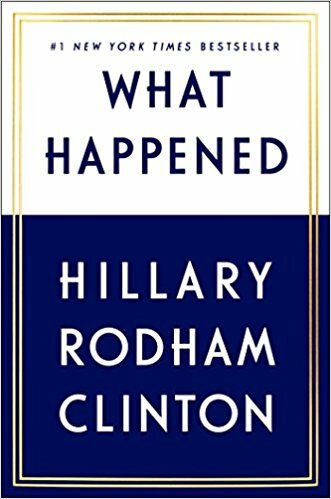 I wanted to read three things in this book: that she admits she was not a very good candidate; that the energy during the election was more engaged by Sanders and Trump because this was a change election and she represented the status quo; and that she did not pay enough attention to the economic concerns of many Americans. I didn’t get exactly what I wanted, but received more than I expected. Sigh. Rating: Three-star (It’s ok) Click here to purchase What Happened from amazon.com. Dedication. I readily confess that I always read the dedications and acknowledgements of books I finish. Samantha Irby grabbed my attention with the dedication for her essay collection titled, We Are Never Meeting in Real Life. She dedicated the book to klonopin, a brand name for the anxiety medication clonazepam. 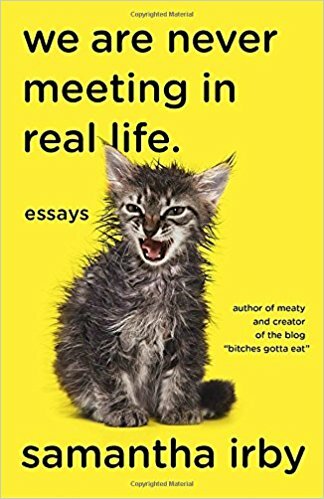 I was alert to expect to read a distinct and likely funny voice in these 21 essays, and I was not disappointed. Irby simultaneously led me to laugh, and to realize that she was conveying some profound truth. I loved her direct style of writing and how could you not be drawn to the cover of this book? That’s before meeting Irby’s cat, Helen Keller. It only gets better after the cover and the dedication. Rating: Four-star (I like it) Click here to purchase We Are Never Meeting in Real Life from amazon.com. Images. 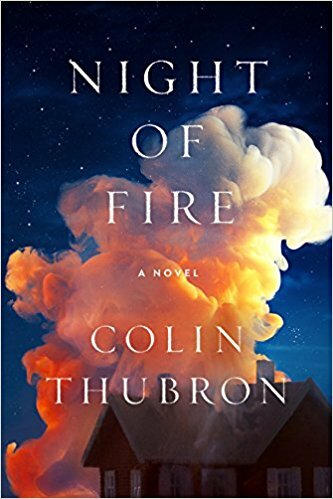 Colin Thubron uses the structure of an apartment building and the residents who live separately in some ways and are together in others for his novel titled, Night of Fire. Six tenants and their landlord reveal themselves and their memories as the building in which they sleep burns. Thubron writes with great skill and explores the nature of our stories and the ways in which we know our neighbors and the ways in which we remain strangers. Readers who enjoy finely written literary fiction are those most likely to enjoy this novel. Rating: Four-star (I like it) Click here to purchase Night of Fire from amazon.com. Lively. 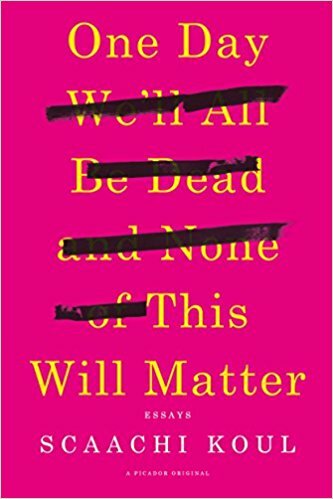 The zany essays in the debut collection by Scaachi Koul titled, One Day We’ll All Be Dead and None of This Will Matter, are funny and well-written. Koul writes about aspects of modern life with a great voice that is rooted in compassion and love of family. Introspective essays can become tedious, but Koul covers topics like race and gender in ways that are simultaneously thoughtful, funny and sensitive. While she writes about growing up in Canada, her observations can be universal. Rating: Four-star (I like it) Click here to purchase One Day from amazon.com. Bittersweet. 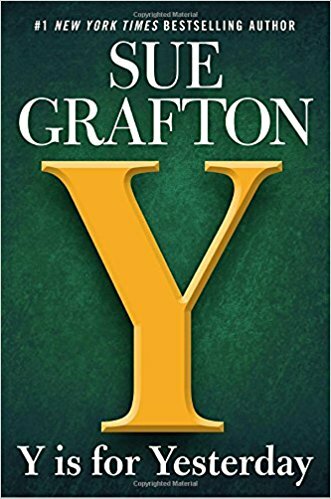 I read Sue Grafton’s novel, Y Is For Yesterday, within days of its release. It’s been a while since her last Kinsey Millhone novel, and the latest is the next-to-last in the long running alphabetic series. The novel is set in 1989 but a murder case from 1979 is what prompts Kinsey to be hired, and ultimately placed in the thick of events that are perilous. Every fan of the series will take the time to savor this penultimate installment with a bittersweet sense that the series will be coming to an end very soon. It’s a long goodbye to a great protagonist and a talented author who has given lots of readers decades of entertainment. Rating: Four-star (I like it) Click here to purchase Y Is For Yesterday from amazon.com. Contagion. Support for secession grew rapidly in Charleston in 1860. 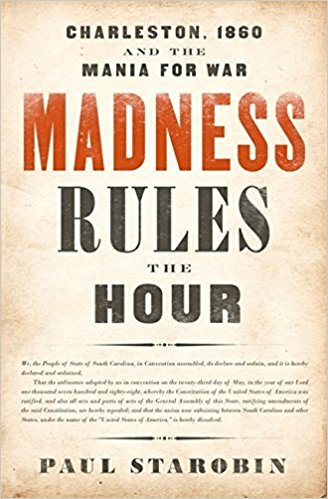 Paul Starobin tells a compelling story of that time in his book titled, Madness Rules the Hour. Starobin presents the views of a wide range of characters, and describes the events of that year in ways that will appeal to most general readers with an interest in history and politics. Following Lincoln’s election as president, the voices in Charleston to establish an independent republic spread quickly among citizens. Voices of moderation and reason were drowned out by the radicals. While I found this book an entertaining escape from contemporary life, the spread of radical ideas has implications for modern life that are chilling. Rating: Four-star (I like it) Click here to purchase Madness Rules the Hour from amazon.com. Trauma. 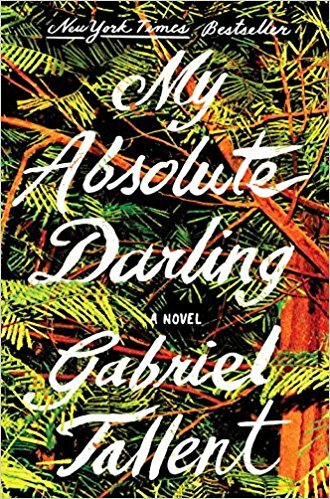 While reading Gabriel Tallent’s debut novel titled, My Absolute Darling, I found myself patiently awaiting deeper character development or insight into human behavior. After four hundred pages, the characters remained poorly developed and I was no closer to understanding behavior than I was on page one. Protagonist Turtle lives almost off the grid with her father, Martin. Their relationship involves physical and psychological abuse and the title is how Martin refers to Turtle. The novel is packed with violence and trauma. While some readers will consider Turtle as a heroine, I considered her more as a survivor, and it’s easy to understand why she loves her father despite the abuse. The extended cast of characters are one-dimensional, and the community that ignores Turtle for most of the book seems keenly aware of her at the end. All those gaps and anomalies led me to close the book feeling as if I was part of the trauma, and I was glad to have it come to an end. Rating: Two-star (I didn’t like it) Click here to purchase My Absolute Darling from amazon.com. Language. 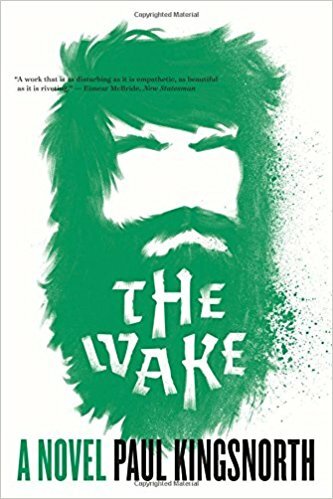 The first two times I picked up Paul Kingsnorth novel titled, The Wake, I just couldn’t get into. I’d go five or ten pages, and the language would drag me down. About a year after I thought I set the novel aside for good, I noted that it was the first in a trilogy, and the second installment was coming out. I bit the bullet, and entered the world of green men during the time of the Norman invasion, and settled into a barrage of Saxon fricatives and all manner of the patois of the eleventh century. I slogged my way through to the end, ready to read the second installment. Rating: Three-star (It’s ok) Click here to purchase The Wake from amazon.com. Dead. 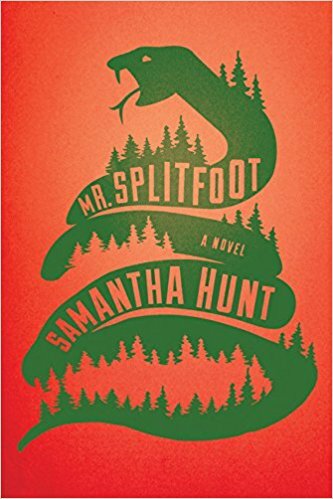 Lots of elements in Samantha Hunt’s novel titled, Mr. Splitfoot, will appeal to readers: orphans, a journey, talking to the dead, religious cults, and two alternating plot lines, one past and one present. Ruth is the protagonist of the historical line, and her niece, Cora, takes the lead in the current plot line. The two lines converge in interesting ways that will delight many readers. Hunt develops characters well, and her prose is finely written. If you like creepy books, consider reading this one. Rating: Three-star (It’s ok) Click here to purchase Mr. Splitfoot from amazon.com. Spooky. 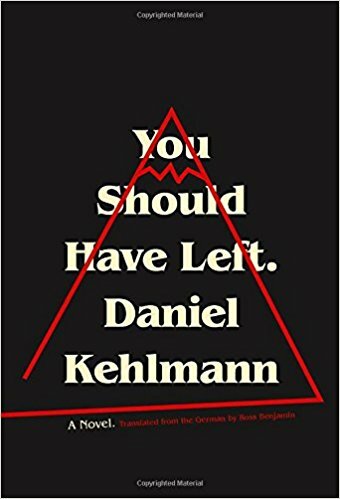 Most readers can complete reading Daniel Kehlmann’s novel titled, You Should Have Left, in a single sitting, unless it’s a dark Halloween night, and you’re a little spooked already, or if you are staying in an old house that makes a lot of sounds at night. Then, stop reading and wait for the light of day to finish this finely written story of a family spending seven days in a house rented online. As the title indicates, they have been warned away from this house, and as one would anticipate with horror tales, they do not listen. Don’t read alone. Rating: Four-star (I like it) Click here to purchase You Should Have Left from amazon.com. Ethnicity. Persecuted ethnic minorities suffer around the world today and this situation has a long history. 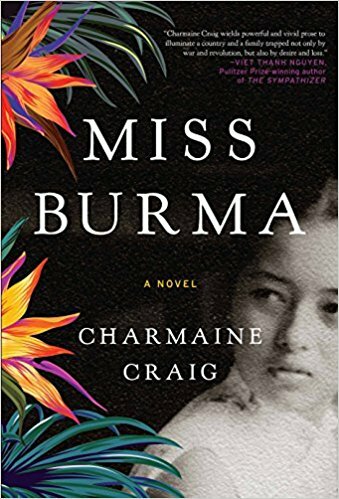 In her finely written novel titled, Miss Burma, Charmaine Craig takes readers into Burma and to the troubles of an ethnic minority, the Karin. Set over the past seventy or so years, we live with one family from life in a British colony through Japanese occupation during World War II and a bloody civil war thereafter. Readers who enjoy historical fiction and poignant family sagas are those most likely to enjoy reading this novel. Rating: Four-star (I like it) Click here to purchase Miss Burma from amazon.com. Transcendent. 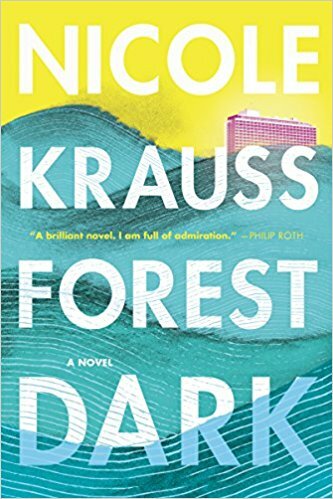 Fans of finely written prose are those readers most likely to enjoy Nicole Krause’s novel titled, Forest Dark. Krause weaves two alternating stories featuring two protagonists: one a female writer, and the other a male millionaire. As with each of us, these characters are trying to find their place and purpose in life. Separately, they wind up in Israel, both staying at the Tel Aviv Hilton. Jules Epstein has been giving away his fortune and is becoming detached from his former life, transcending it for something else. The writer has a troubled marriage, and hasn’t been writing. She stumbles onto Kafka writings that had never been published. There’s a transcendental quality to Krause’s prose as she glides from one narrative to another, and as we glimpse into the ways in which these characters find their places in or outside of this world. Rating: Four-star (I like it) Click here to purchase Forest Dark from amazon.com. Nuns. 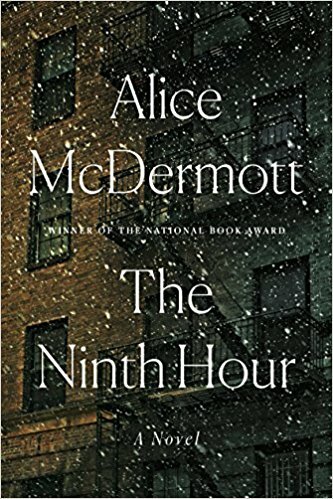 I challenge any reader of Alice McDermott’s novel titled, The Ninth Hour, to finish it and not love the nuns. Through tightly written lyrical prose, McDermott takes us into the world of Catholic Brooklyn in the early to mid-twentieth century. Like McDermott, I was born into that culture in the middle of the twentieth century and there were nuns everywhere. Don’t expect to find the cheery singing nuns from the movies in McDermott’s world. These are hard-working, pragmatic women who are wise to the ways of the world and the Church, and live close to poor people and care for them with deep love and practical action. McDermott wastes no words in capturing setting and character. Here’s one of my favorite sentences from p.26: “All joy was thin ice to Sister Lucy.” So much explained and understood in just eight words. The rest of the words in this novel are just as perfect as these eight. Rating: Five-star (I love it) Click here to purchase The Ninth Hour from amazon.com. Enchantment. 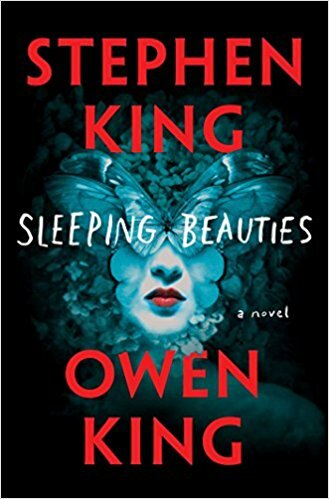 I surrendered a weekend’s reading to the 700 pages of a novel titled, Sleeping Beauties, co-written by father and son, Stephen and Owen King. The core setup is creative: all the women of the world have fallen asleep. What happens next through the King’s collaboration will entertain all fans of well-told stories: great characters, an exciting plot, and insight into the behavior of regular people just like us. There’s a battle of good and evil involving flawed heroes and virtuous villains. My interest in the story never flagged, and I enjoyed living in this story always anxious to find out what happens next. Rating: Five-star (I love it) Click here to purchase Sleeping Beauties from amazon.com. Cunning. 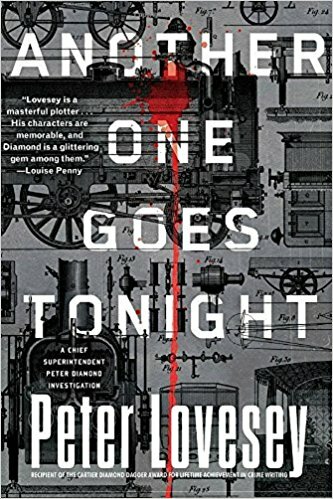 The sixteenth installment in the Detective Peter Diamond mystery series by Peter Lovesey is titled, Another One Goes Tonight. At this point in the series, surprises should be rare and some tedium is likely to set in. Instead, I was delightfully surprised by this mystery, and Diamond’s cunning was well-matched with that of a murderer. Mystery lovers who like a good puzzle in a novel with strong characters and an intricate plot are those most likely to enjoy this installment and this series. Rating: Four-star (I like it) Click here to purchase Another One Goes Tonight from amazon.com. Heritage. 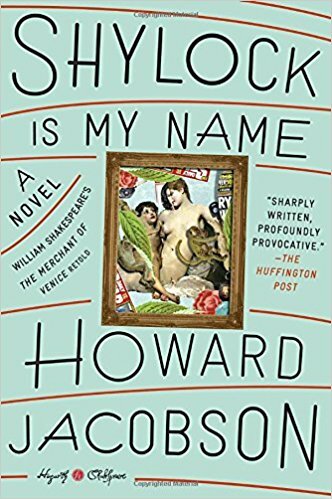 The contribution of Howard Jacobson to the Hogarth Shakespeare Series is a contemporary take on The Merchant of Venice titled, Shylock Is My Name. Filled with wit and humor, Jacobson explores the issue of living as a Jew in the world today. Shylock’s conversations with his dead wife, Leah, are a highpoint in this book. His conversations with art collector Simon Strulovitch are philosophical and interesting. Rating: Three-star (It’s ok) Click here to purchase Shylock Is My Name from amazon.com. Homage. 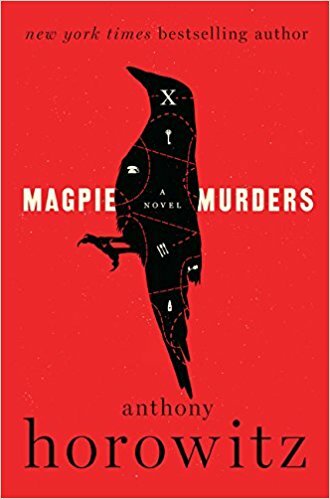 Fans of classic English crime fiction are those readers most likely to enjoy reading Anthony Horowitz’ novel titled, Magpie Murders. This fun read is structured as a book within a book, and in many ways, it is a homage to Agatha Christie and her contemporaries as well as to the English people and to their special interest in murder mysteries. Horowitz is clever and witty and respects the intelligence of the reader. Rating: Four-star (I like it) Click here to purchase Magpie Murders from amazon.com. Pivot. Al Franken is funny again. Having worked hard to be a serious Senator for the people of Minnesota since 2009, he’s now able to place humor side by side with self-deprecation and serious topics in his memoir titled, Al Franken, Giant of the Senate. I loved his description of how he struggled to learn the politician’s skill to pivot when asked a question. Franken says he was raised to answer questions asked of him. A politician has to reframe a question or answer the question one wants to answer by pivoting to an area of comfort that’s “on message.” This is a funny and smart book written with clarity and authenticity, and enough humor to bring every reader a laugh or a smile. 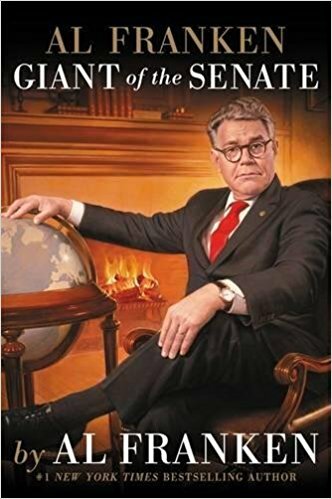 Rating: Four-star (I like it) Click here to purchase Al Franken Giant of the Senate from amazon.com. Family. 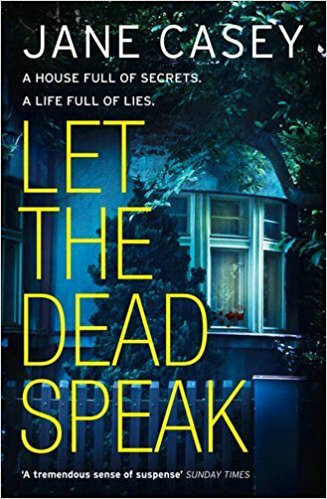 The seventh novel by Jane Casey to feature detective Maeve Kerrigan is titled, Let the Dead Speak. Fans of the series know we can count on Casey to provide unexpected plot twists and interesting characters. The bonds of family are twisted, tightened and frayed as Casey draws readers into a crime investigation and Maeve injects herself into the thick of things. Josh Derwent is also back, along with an up and comer rookie who adds a level of conflict. Rating: Four-star (I like it) Click here to purchase Let the Dead Speak from amazon.com. Dreams. 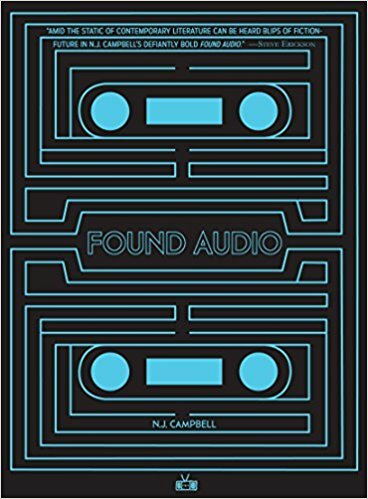 Readers on the lookout for an odd or unusual work of fiction should consider N.J. Campbell’s short debut novel titled, Found Audio. Structured as the transcription of audiotapes, the novel allows readers to eavesdrop. The total experience, including the largest section, involves dreams and trying to separate reality from illusion. The mood is dreamy, packed with intrigue and mystery. Rating: Three-star (It’s ok) Click here to purchase Found Audio from amazon.com. Questions. 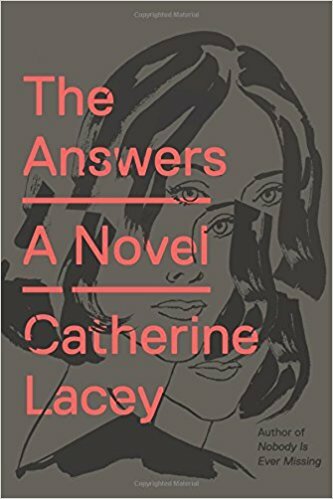 Spoiler alert on Catherine Lacey’s novel titled, The Answers: there are no answers. While not providing answers, Lacey does help with sorting out the important questions. Literary novels can help readers think about how we live in the world, and this satiric novel demands a lot of complicated thinking about that question. Protagonist Mary Parsons is sick and broke. A friend steers her to healing for her sickness, but the therapy comes with a high cost. The second job that Mary finds to keep her healthy leads her and readers down a rabbit hole of issues relating to identity and intimacy during a time of big data and income disparity. 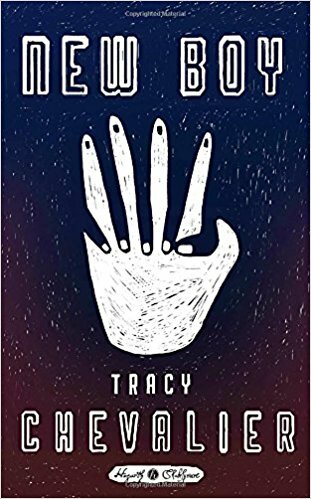 Lacey’s prose can shimmer and readers who enjoy finely written literary fiction that requires patience and attention are those most likely to appreciate this novel. Rating: Four-star (I like it) Click here to purchase The Answers from amazon.com. Poison. The Hogarth Shakespeare installment that retells Othello is titled, New Boy, and is written by Tracy Chevalier. The action is set in the 1970’s, mostly in a Washington D.C. grade school playground. Chevalier pulls key elements from the tragedy, and condenses the story in ways that prove that the poison of manipulation and racism and sheer evil can find a place even in a playground. Rating: Four-star (I like it) Click here to purchase New Boy from amazon.com.